Researchers have unearthed an astounding collection of fossils that appear to date from the very day a meteor hit Earth millions of years ago, wiping out nearly all life on the planet. The collection was discovered at a site called Tanis in North Dakota’s Hell Creek Formation, which is a well-known area for finding fossils. An article detailing the findings is scheduled for publication in Proceedings of the National Academy of Sciences, a leading science journal. Lead researcher, Robert A. DePalma, was granted access to the site near Bowman, N.D. by a rancher in 2012. After mining the site secretly for years, DePalma began to share his findings with an international team of scientists, eleven of whom have joined him as co-authors on the research paper. DePalma is a curator of paleontology at the Palm Beach Museum of Natural History, in Florida, as well as a graduate student at the University of Kansas. According to reports, DePalma and his team found a fossil site that consisted of more than four feet of sediments and organic remains. 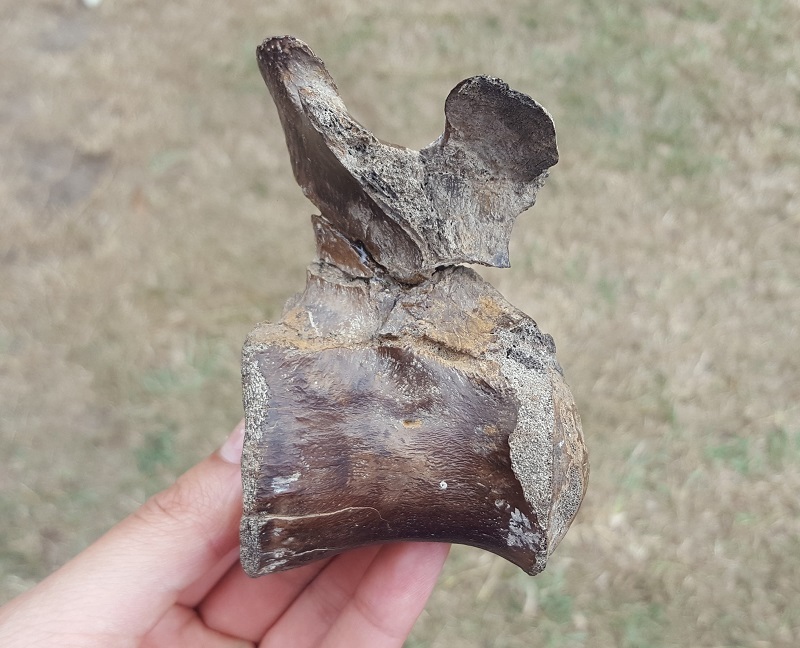 Those remains included burned tree trunks and branches, dead mammals and fish, dinosaur bones, insects, marine microorganisms and marine cephalopods. The top layer of the fossil bed was found to be rich in iridium, a rare metal belonging to the platinum group of elements. Iridium is more abundant in meteorites than in terrestrial rocks. In the paper, the researchers argue that the fossil bed captures the best-ever snapshot of the day a giant meteor slammed into Earth 66 million years ago. The meteor smashed into waters near what is now Mexico’s Yucatán Peninsula leaving a giant crater known as Chicxulub. The collision and the global disaster it wrought are believed to have killed 75 percent of all species on Earth, including the dinosaurs. The researchers found that the fossil deposit contained tektites, tiny glass beads created by planetary-scale impacts. About half of the fossilized fish had the tektites in their gills like the fish had inhaled them. More were found trapped in amber. A study of the tektites chemical composition showed that they closely matched the unique chemical signature of other tektites associated with the Chicxulub event.